Ackerman Farms in Morton, Ill., boasts over 160 varieties of pumpkins and squash. Everyone knows the Midwest is a strong part of America’s breadbasket. But it’s also cradle to a huge pumpkin crop. That means this Thanksgiving, hungry families all over the country will finish off their holiday meals with a little slice of the Midwest. In this week's Field Notes, we feature a story about the Heartland's pumpkin crop from Harvest Public Media reporter Peter Gray. To hear a conversation about the history of Thanksgiving food traditions and to get recipe ideas, tune into Intersection on Monday. This Thanksgiving, hungry families all over the country will finish off their holiday meal with a little slice of the Midwest. That’s because the vast majority of all pumpkin that comes from a can and winds up in a pie got its start on a vine in Illinois. Pumpkin patches are popular destinations for families seeking fall fun, and you’ll find roadside farm stands all over the country. 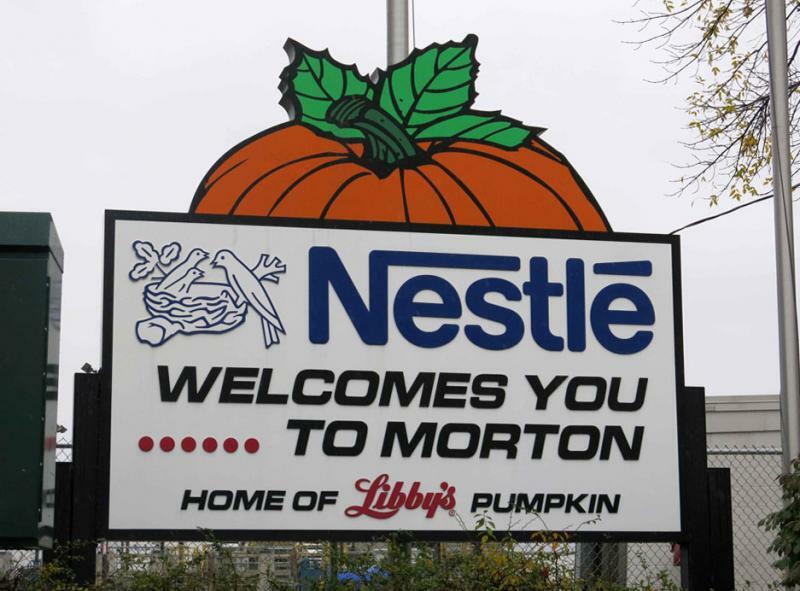 But this is big business in Illinois, where farmers feed canning factories hungry for special kind of pumpkin that looks nothing like those you see on Halloween.